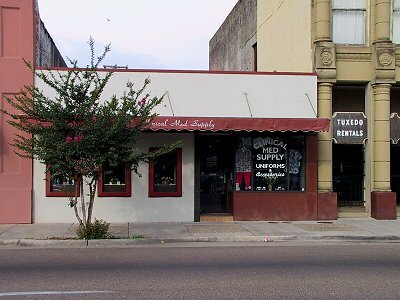 Now undergoing restoration and re-named the Gouguenheim Building after its firts owners, this was a ten-cent store when I was a kid. 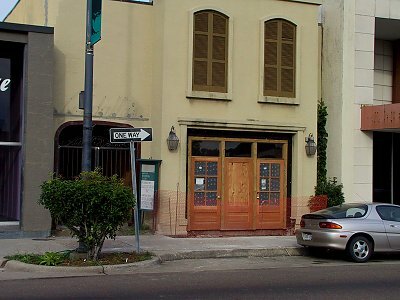 Historic: These old galleries are now being restored. 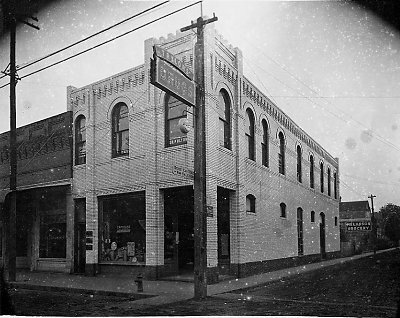 Morgan and Lindsey dime store, as well as Elks hall in this photo. The card store now next door used to be here. Guess what! 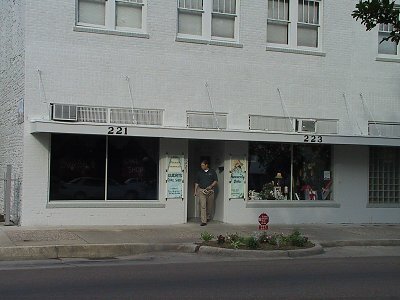 This card store used to be one building east. 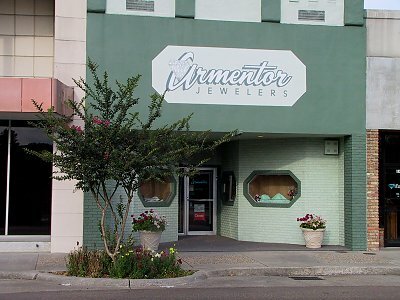 How much longer will it even be open? 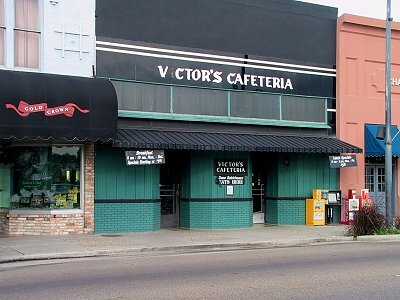 Victor's Cafeteria. 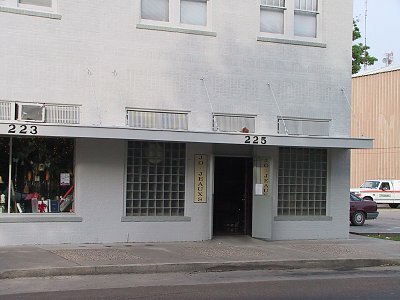 Breakfast hotspot and good fried catfish on Friday for lunch. 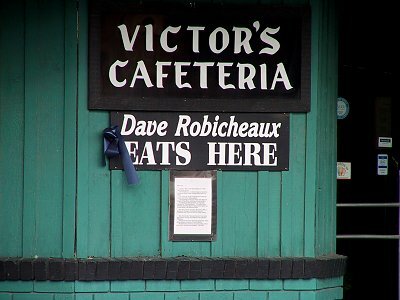 Detail: James Lee Burke's fictional detective eats here! 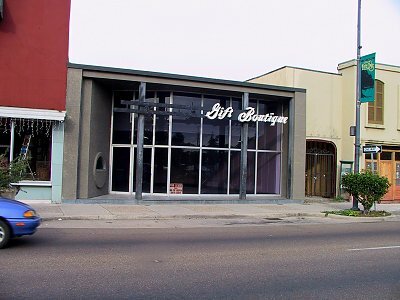 Where prom-bound guys get their garb. 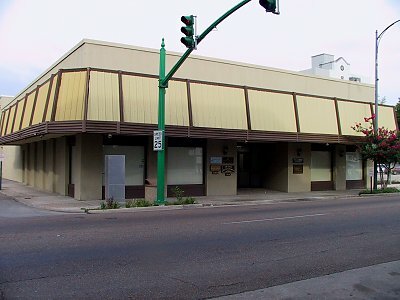 Built as an office for a thrift institution, this was a very modern building at its introduction, and I think its classic lines still hold well today. 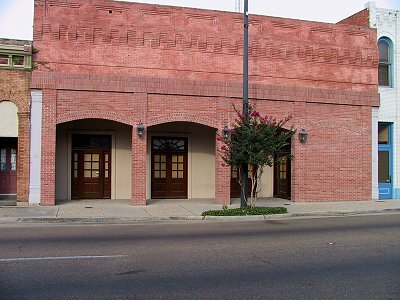 For many years, Abdalla's, the premier clothing store in New Iberia. 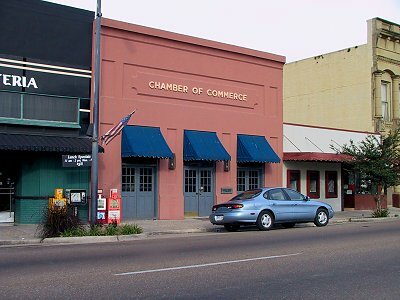 Now being renovated into office spaces. 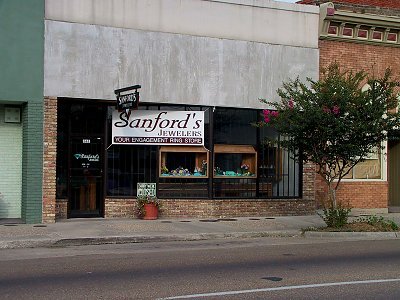 Known for a time as "Sanford's Manufacturing Jewelers," as he liked to make his own settings, etc. 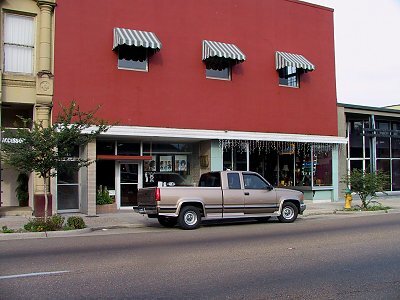 For many years, a group of New Iberia artists operated a small gallery here. 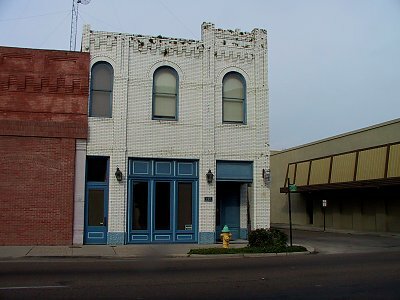 This building now connects to the building on the corner, and houses radio studios and offices. 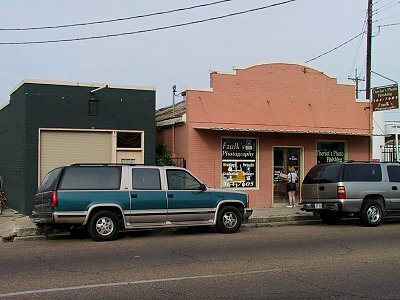 Now the entrance to the offices of a powerful country radio station, this was, in my childhood, a drugstore with marvelously crowded dark shelves. 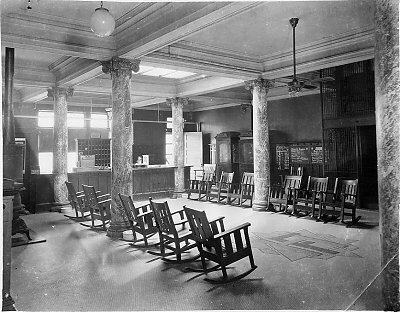 Historic: In the days as a drug store. 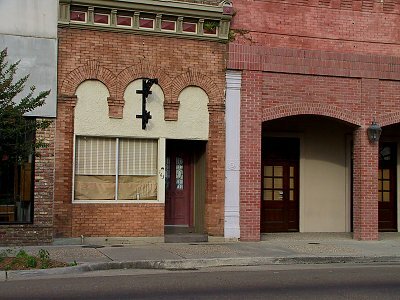 When I took this photo, it took me aback at how small this builing was. 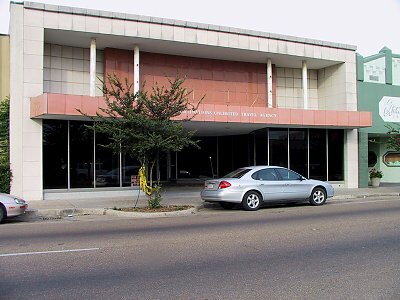 When I was a child, this was the Specialty Store, a big dry goods outlet, with a most fascinating basket-on-a-string method of sending tickets from one floor to the next. Today it is office space. 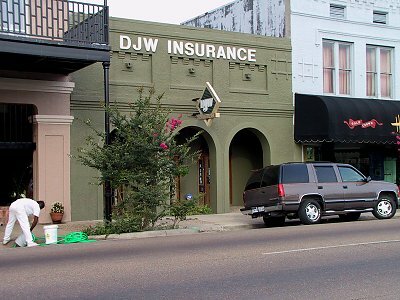 Now and insurance office, this was once a big part of the Frederic Hotel, the grand downtown hotel of New Iberia. When I was in high school, we had dances it the hotel's ball room. 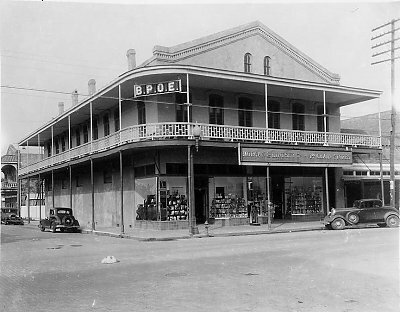 Historic: The Frederic Hotel, ca.1940. 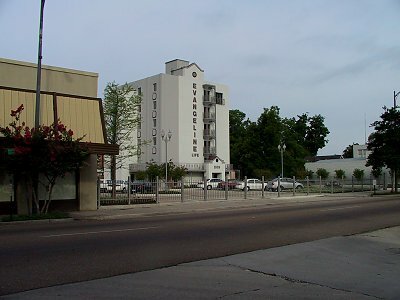 Historic: Hotel Evangeline, a predecssor at this same site to the Frederic. 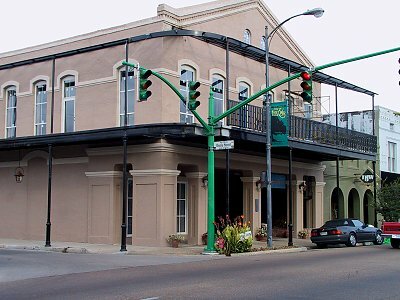 Guidry's Cake Shop, a favorite spot. 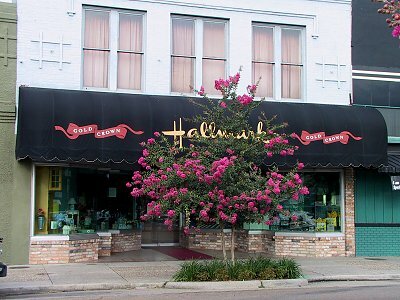 Now a florist and gift shop, this building has housed a number of things over the years. 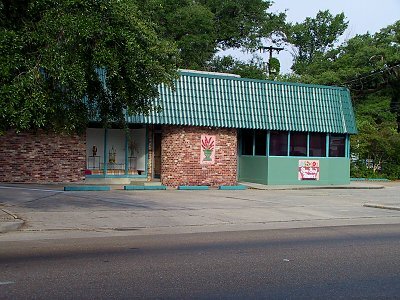 When we were in high school, there was a Pitt Grill here. 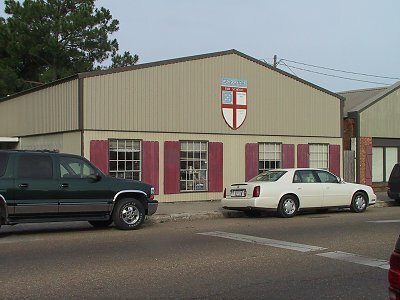 It lasted at least through the time we lived around the corner on Jefferson St., and was handy in the days that I did darkroom work and liked a bowl of soup at 2 a.m.
May 25, 2001 Jefferson St. to Railroad Ave.
Episcoal Church, where there is now an elementary school; each morning, the school meets in the church for Chapel. 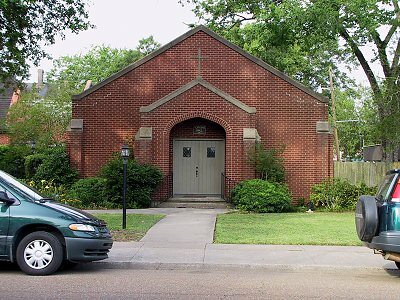 Parish Hall for the Church. 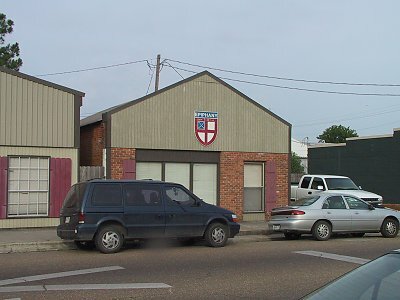 Several buildings along this block now are part of the school complex. 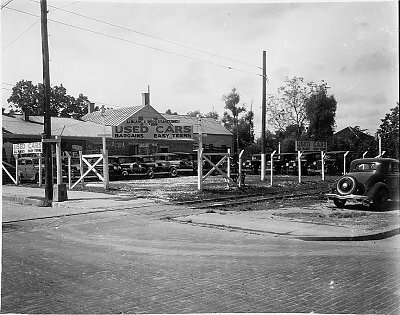 Now a boating dealership, was once a used car lot. 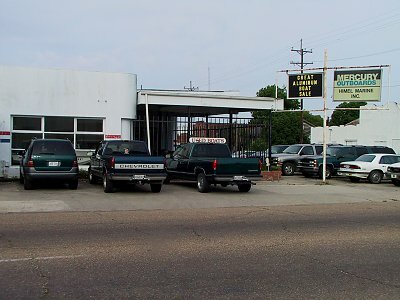 Historic: LeBlanc and Broussard used car lot.